Get notified when FYF Fest tickets are available! 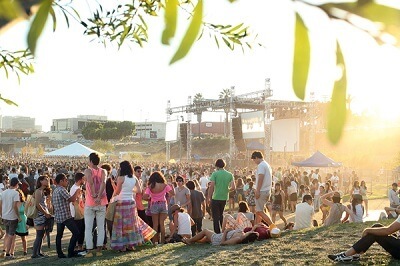 FYF Fest is one of the top music festivals on the west coast. It has been held since 2004, when it started as community punk rock event. The event grew in scope and popularity and it is now one of the most sought-after music festivals in the nation. The event was started by music promoter Sean Carlson and is produced by AEG Live under the Goldenvoice brand. The event has grown from a showcase of punk music to include rock & roll, indie music, electronica and much more, as well as punk rock of course. The event lasts for two full days and it is held at the L.A. Sports Arena & Expo Park in Los Angeles. Get your FYF Fest tickets right now by using the links above!